Chinese Fake Seamaster 300. Note the "SeaNaster" text on the dial. Close, but not quite. It’s a harsh reality of collecting that Chinese forgers are getting steadily better at churning out ever more convincing fakes all the time. 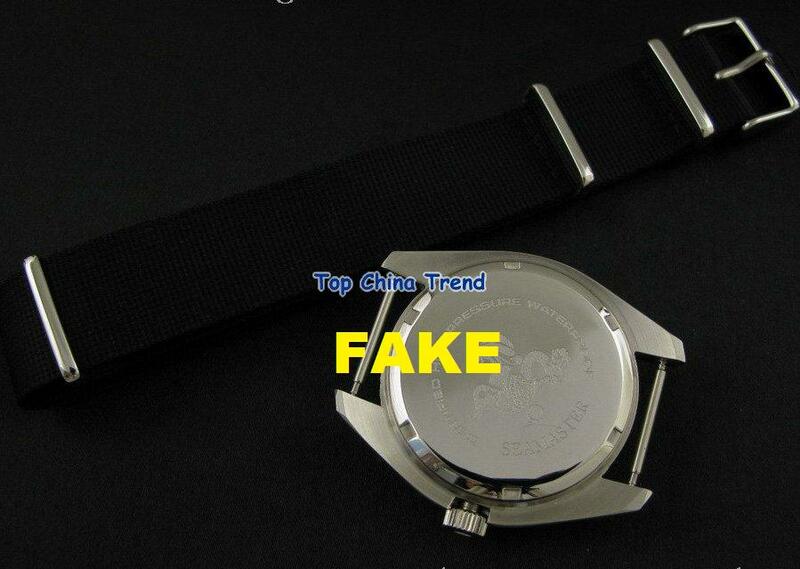 And sadly it seems the Chinese fakes just took another great leap forward. 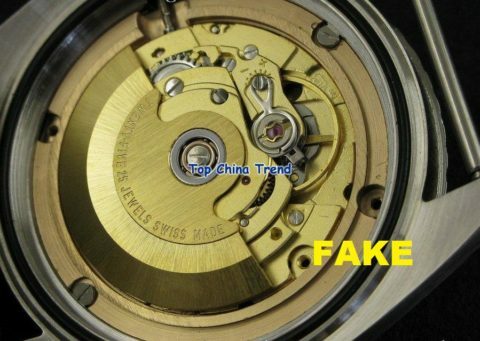 For Omega and military watch collectors the perfidity of fakes is perhaps one of the most lamentable aspect of the Seamaster 300, which would otherwise likely be known as a very desirable and collectible watch. Indeed, the glut of fakes on the market perhaps keeps the SM300 from attracting the attention and acclaim it might receive otherwise. 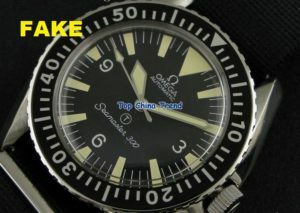 The British Royal Navy-issued Seamaster 300 is perhaps one of the most faked military watches ever, and as the number of Seamaster 300s issued by the British is generally believed to be under 2000 or so the of fakes certainly outnumber the genuine article when examples appear online continuously. Unfortunately the fakes are so pervasive that would-be buyers are filled with trepidation, artificially depressing pricing for the SM300. Once at a get-together filled with collectors of high-end vintage sport Rolex models I saw one collector offer another $80k for a particularly excellent specimen of an early Rolex GMT Master. To my astonishment I saw the other collector actually decline. 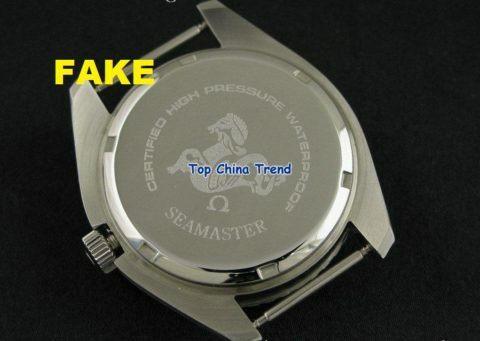 But even in this same environment every Rolex collector I spoke with about the matter expressed an admiration for the Seamaster 300 and a desire to own one, except that all knew to be very wary of the fakes and everyone seemed to know someone who had been burned. 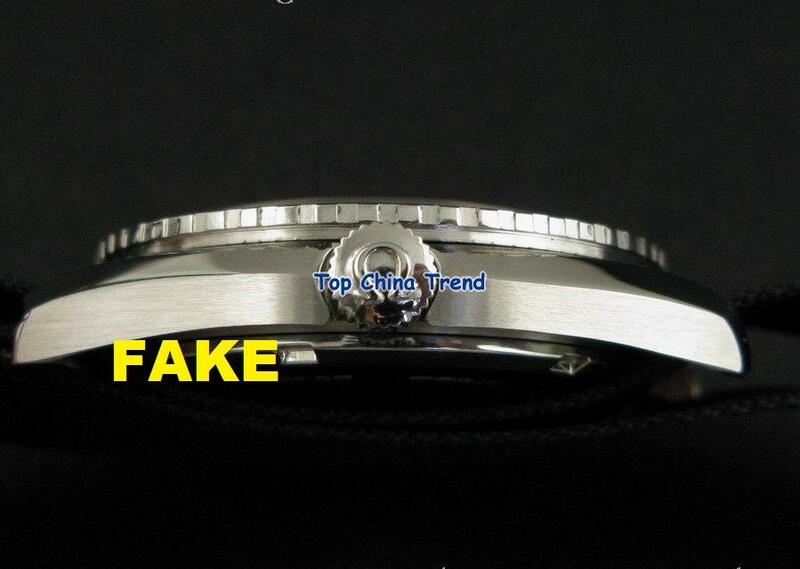 In what has become perhaps one of the more famous instances of a fake Seamaster 300 being mistaken for an original, in Antiquorum’s “Omegamania” thematic auction in April 2007 auctioneer Antiquorum actually sold a fake for over $30k despite considerable online collector outcry leading up to the sale. And that example (lot 128 in the Omegamania auction) had apparently even been handled by Omega factory service prior to the sale, as it seemed to have been retro-fitted with Omega genuine hands. Below are the photos. I apologize about the seller’s watermark on the images and there’s little I can do about them. It does at least serve the purpose of warning would-be buyers away from this particular seller though. Laser engravings on a vintage watch? Don't think so, guys. An actual military Seamaster 300 issued by the Royal Navy would have had fixed bars instead of springbars. Movement is all wrong, should be a cal. 55x. Bizarrely it seems to be a faked generic ETA movement and is even marked as such instead of "Omega." Dial: pretty close compared to previous fakes, but the biggest telltale is that the “m” in Seamaster is improperly formed and looks almost like Seanaster. Otherwise the dial is getting frighteningly close. Caseback: obvious laser engravings, which are of course grossly anachronistic on watch of supposed late ’60s – early ’70s manufacture. Also lacks the military issue markings altogether, which would conceivable be called for by the “circle T” indication on the dial. So, you’ll have to do your homework before purchasing one of these but with just a little bit of study the fakes can still be spotted, even if they’re getting better all the time.